Because there have been larger earthquakes (indicating possibly the passage of magma) under the ice of the glacier at Eyjafjallajokull and there are now fissures under the glacier, the authorities have issued an evacuation order for the area. h/t Jon at WUWT. There was a 3.1 earthquake two days ago, and there have been two (one at 3.5 and one at 3.0) more recently. The larger one is at the location of the upper green star in the map. It is at the other end of the range of volcanoes that run between the two and have been the source of the large eruptions of the past. The lower star, at Eyjafjallajokull is the one that everyone is concerned about. 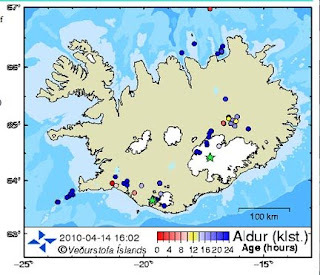 Map showing the latest earthquakes (green means within the last 24 hours, and a star means it is over magnitude 3.0) (Icelandic Met Office) . The concern at the moment relates mainly to the melting of the glacier, and the resulting floods that will follow. There is not, at the moment, a great deal of evidence of a major eruption further up the line, which is where the big ones have happened in the past. However the linear activity of the recent quakes there, and then the larger one, makes it an area to keep watching. I am keeping a list of the dates, location and sizes of the quakes above 3.0 at the bottom of this post. I am also going to start adding depths, since the northern green star earthquake is only 1.1 km below the surface. 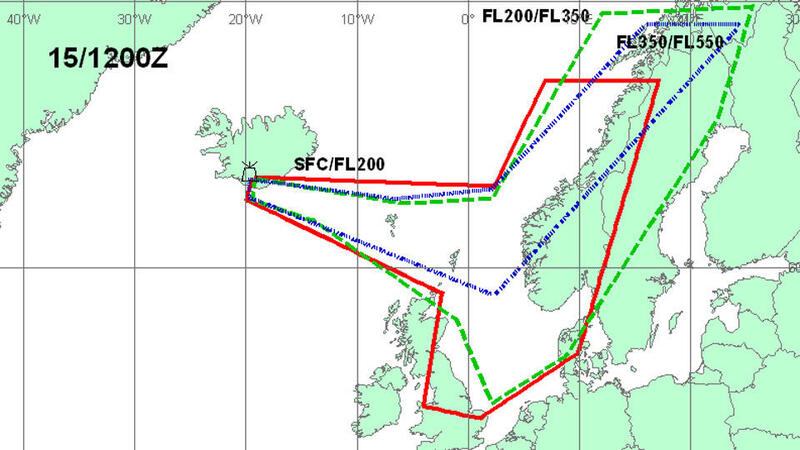 However the ash plume from the volcano is starting to cause air traffic problems over Norway. 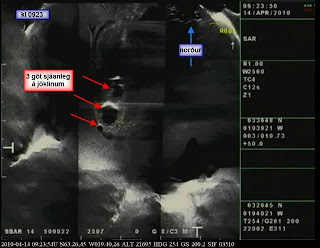 The three red arrows show the locations of the eruptions under the ice. The blue arrow points north. The ice layer was 650 ft thick, before the eruption below it. Flooding that it has caused has already started to give problems. And if you want scale on the top picture Katla, the icecap to the East of yjafjallajokull is 12 miles away and under the Mýrdalsjökull glacier. The new fissure is about 1.2 miles long and the eruption is considered to be 10 to 20 times more powerful than that last week. There are web cameras set up to view the original eruption, and likely also the new one. I have also just heard about the major earthquake in western China. I was in Xining City and drove around parts of Qinghai Province last year. One of the things that struck me is the number of small coal-fired brickworks, that were producing fired brick, and supplying a change from the mud brick of which most houses were constructed. Sadly that modernization was not fast enough, and most of the casualties are reported being buried under wood and mud brick buildings, though there are some concrete buildings (including a government one) that have collapsed. The area is remote, and difficult to drive around, so that rescue may be more difficult than in the previous large quake, and our thoughts and prayers are with the victims. Volcanic eruption under the glazier started some 18 hours ago. 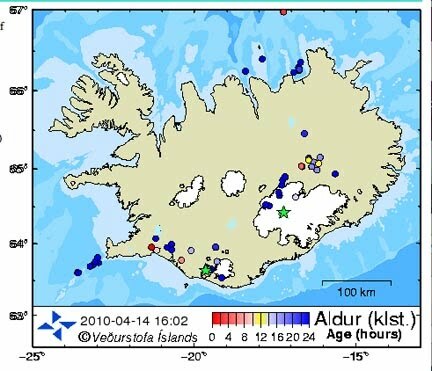 It is estimated to be around 10 to 20 times more powerful than the eruption on Fimmvörðuháls. The volcanic crack is about 2km long according to the latest news with three major eruptions. Markarfljót flooded, broke through some barriers but seems to be in recession right now. The bridges are still standing. 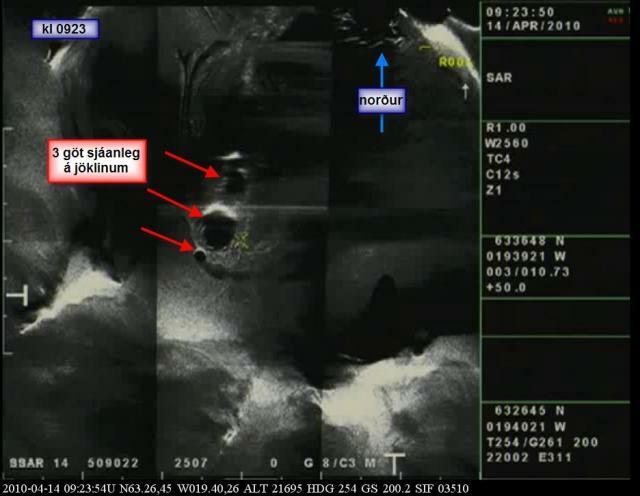 Here is a picture scientists took around 8 hours ago (9.23am local time). 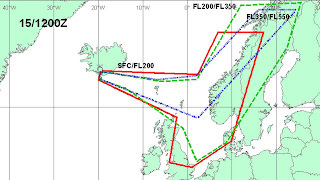 The three red arrows show the locations of the eruptions under the ice. The blue arrow points north. Thanks for the updates Dave. I fear this story will have a relevant impact on our lives. Btw, long ago I read about Rhodes Fairbridge work on a possible link between solar magnetic activity and tectonic activity on Earth. It may not be casual the coincidence of this eruption and all around quake burst with the begining of a Dalton-class Solar Minimum. Nice selection of pictures of the eruption here.